Two years ago today, we began our journey and adventure together that led us to Paris. 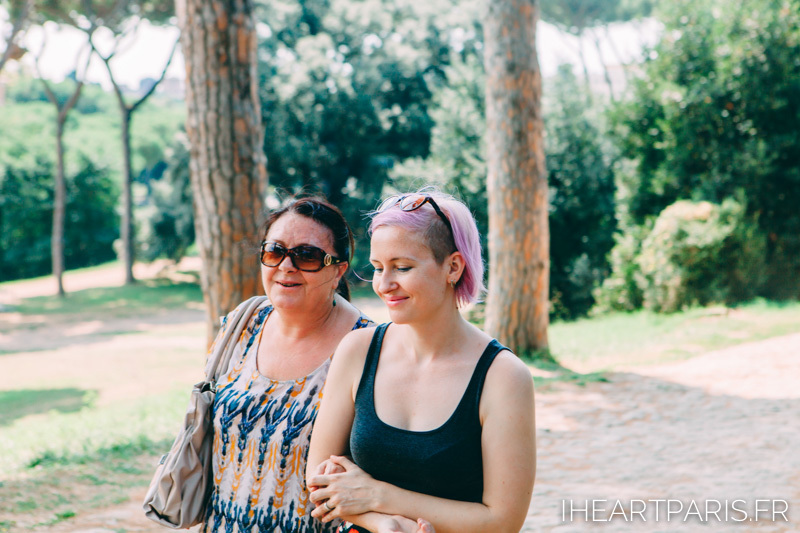 To celebrate today, we decided to do a post about us, more specifically about our individual take of the short four day summer trip to Rome with Anastasia's mom. Here is a little more about the duo behind IheartParis and how our photography looks like when we are just having fun. 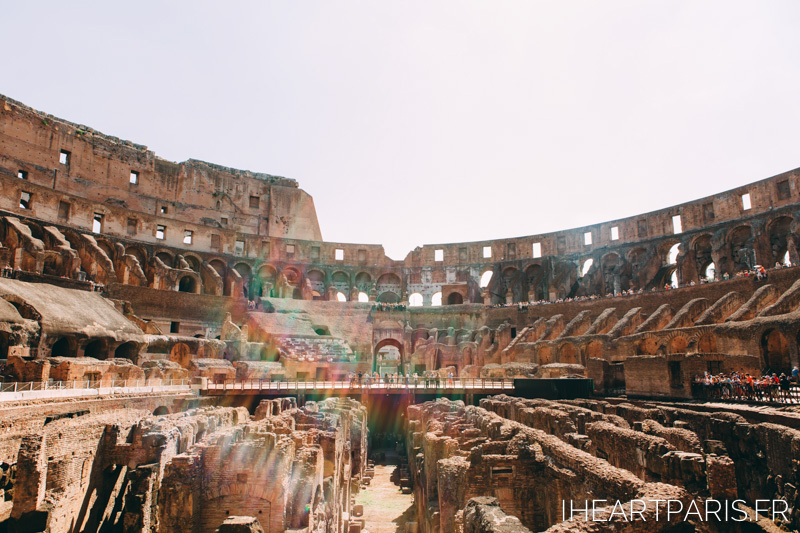 Enjoy the photos of Rome for the summer and the words that go with them! 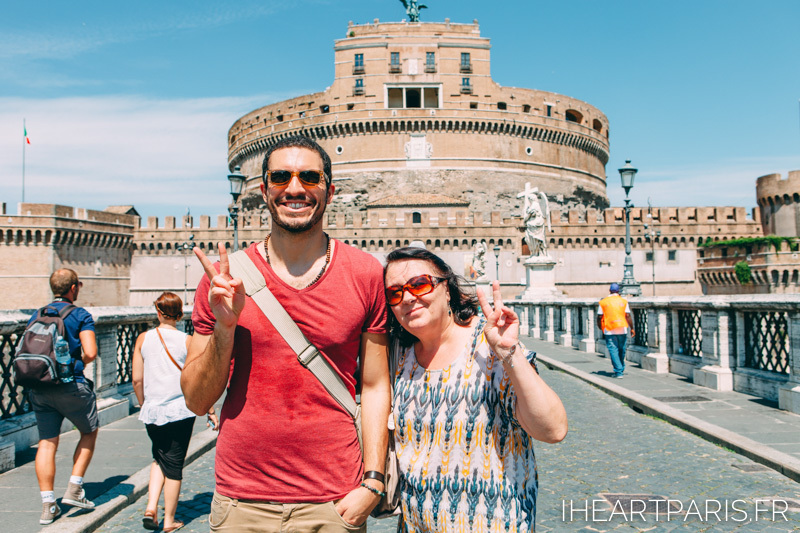 Anastasia: Italy will always hold a special place in my heart. I moved to a little town called Duino close to Trieste in the North of Italy when I was 17 years old. It was my first time living on my own away from home studying at the United World College of the Adriatic alongside the students from 90+ countries. The 2 years I've spent in that place have shaped up my world view and changed my life for good. Now anywhere in the world I travel to I have a friend to visit and a memory to laugh about over a drink and for that I will forever be grateful to this warm country that was once my home. It took me 3 months to learn Italian and now I'm slowly forgetting it, so to never fall out of practice I make it a rule to drop by every year. This time it was doubly special, because we had my mother visiting us in Paris and she has just celebrated her 60th birthday, so as a gift Federico and I took her to Rome, fed her pizza and ice cream, and just spoiled her with love and attention. I'm really excited to share with you a few snippets of what a holiday of a family of photographers looks like! Federico: I visited Rome once, but I don't think it actually counted because I was 10. I vaguely remember St Peter's Basilica and the ruins, and that is as far as it goes. On the other hand, my mom's side of the family comes from Italy and my dad's from Germany, I'm 4th generation of their families born in Costa Rica. My height is entirely German and during this trip I found out something fun about myself: my feistiness and way of arguing is entirely Italian. I have never felt more at ease in a new country specially with Anastasia as my personal guide to show me around the city. For me, the highlight was visiting Castel Sant'angelo at night and being able to explore every part of it without many people including the "secret passage" to the Vatican. I felt like a kid again, it was magical to be in such a historical place at nighttime without a crowd. Also memorable, making Anastasia climb to the top of St Peter's Basilica in spite of her strong aversion to heights. She was slightly angry at me, but it was totally worth it.